From then on go to the website of KIJK or use their app if supported. Please see supported devices between KIJK and Unlocator at the bottom of this page. 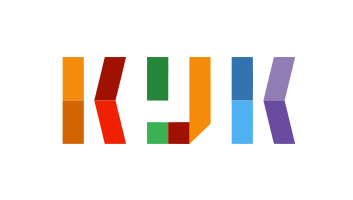 KIJK is a popular streaming platform in the Netherlands that delivers content from several channels like SBS6, Net5, and Veronica. Dutch residents can enjoy a plethora of TV series, reality shows, news, sports, and more through KIJK’s web player. While old episodes and videos can be viewed all over the world, newer shows can only be streamed within the country’s borders. Therefore, in order to access KIJK outside the Netherlands, you have to make use of Unlocator. This means that only viewers in the country can watch the video. To avoid getting this error, configure Unlocator on your device by following the guides provided below. The good thing about Unlocator is that it doesn’t alter your IP address. Meaning that you can gain access to geo-restricted channels while still able to operate your local ones. As it reroutes part of your traffic, your speed remains untampered with. Just sign up for a free Unlocator trial and watch KIJK regardless of where you might be located. Installation is quite simple and straightforward. In case you run into problems with the setup process, you can always reach out to Unlocator’s support team. The KIJK channel allows visitors to watch popular TV show such as Achter Gesloten Deurne, Born2Cook, Dr. Bull, De Handhavers, Utopia and Dance As One. If you’re outside the Netherlands and want to keep up with these shows on KIJK, simply set up Unlocator Smart DNS by following the guides below depending on which device your using and access geo-restricted content from all around the world.